One of the biggest challenges we face in running and growing Concrete Jungle is planning around the varying schedules of the thousands of fruit trees in the Atlanta area. Some trees will produce early, some produce late, some not at all. Some produce on-schedule but drop their fruit earlier than expected, some produce a bumper crop and should be prioritized, etc. This is a problem that varies with the type of fruit. Serviceberries in Atlanta were planted almost entirely by Trees Atlanta and the few varieties they’ve planted are quite predictable: we are pretty much guaranteed to be picking serviceberries on May 23rd no matter what. Apples and pears, which are more diverse in variety and make up the bulk of our picking weight, are much less consistent. Because it’s difficult to know what a tree is doing in a given year, we often simply have to physically inspect a tree. This means we spend a tremendous amount of time wandering around Atlanta, checking on our vast, sparse, urban orchard week-after-week. For the past two years or so, Concrete Jungle has partnered with Carl DiSalvo’s lab at Georgia Tech’s school of Digital Media to get a handle on this. Primarily we’ve been trying to develop ways to remotely sense fruit growing on trees. Before we get in to those ways, let’s discuss the partnership some. Why would we want to work with Carl, and why would Carl want to work with us? Carl’s group likes us because they already have a heavy focus on food systems, infrastructure and maps, so a local non-profit that maps fruit trees for foraging and donation is a perfect fit. Now that we’re working together, how do we actually sense fruit growing in a tree? Our first approach was to use drones. The apple-pie-in-the-sky idea was to have a drone fly to a fruit tree, take a photo of the tree and return. Also don’t hit any trees, animals, cars or power lines. And don’t freak anyone out, so maybe fly only at night. We’re in fantasyland at this point so the drone may as well also pick some fruit and bring it back for us to sample. So that shelved the drone project for a while…what other sensing options did we have? Fruits that are climacteric are fruits that ripen in the presence of ethylene gas. These are fruits like apples, bananas, tomatoes, and melons, and this is the reason people suggest putting some fruits in a paper bag with a banana to encourage the fruit to ripen. Ethylene sensing would be ideal since we’re directly measuring a gas produced in response to fruit ripening. 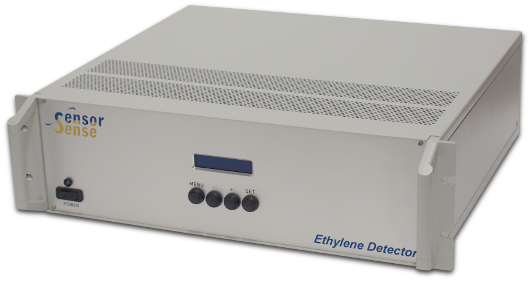 Ethylene concentration passes some threshold, sensor tweets at us and we go pick it. Easy as. There is a company spun out of MIT named C2Sense that has some promising new carbon nanotube-based sensor technology that promises ethylene sensors for pennies apiece. The basic principle of the sensor is that you attach an ethylene-sensitive molecule on to a carbon nanotube, hook up two electrodes to the nanotube(s), and when ethylene is present you can measure some electrical change. Unfortunately, like most companies using carbon nanotubes, they are shipping neither product nor prototype. There’s lots of cheap gas sensors out there based on tin oxide semiconductors. Although they are often sold as an alcohol sensor, methane sensor or hydrogen sensor, these sensors can be responsive to a variety of gases beyond what their label indicates, and there are a variety of powerful data analysis methods out there to tease out additional information. One way that you can tell a pear tree is ready to be picked is simply by how it looks. Its long, thin branches, normally upright, are bent over, laden with heavy fruit. So perhaps we can sense branch bend angle and use that as a proxy for fruit ripeness. This approach is the most tenuous for producing good data (since branches will constantly be bending and swaying with weather and disturbances), but that can probably accounted for and having a cheap starter sensor will let us develop the rest of the sensor platform so that when an appropriate sensor is available we can drop it in and go. If we can get passersby to send us photos of a fruit tree, then perhaps that will work out just as well as us visiting the tree in person. 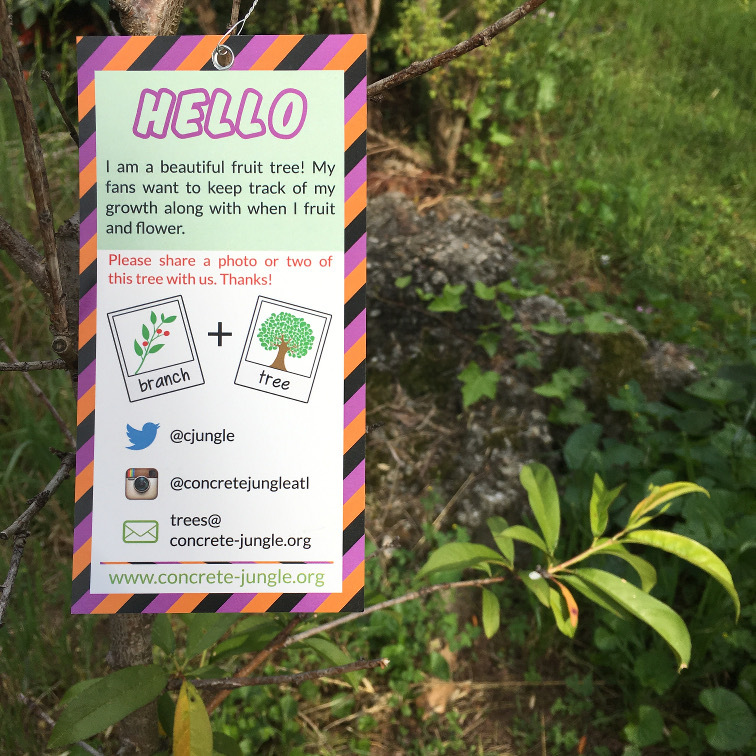 These tie in nicely with Concrete Jungle’s Tree Parent program, where we encourage residents to adopt a local fruit tree and check up on it occasionally, letting us know when it’s nearing readiness. Plus we get some good marketing and educational value out of them. As unglamorous and straightforward as this is, a camera would show us exactly what we want, and we simply have to solve for the infrastructure around it, mostly being communication and power. 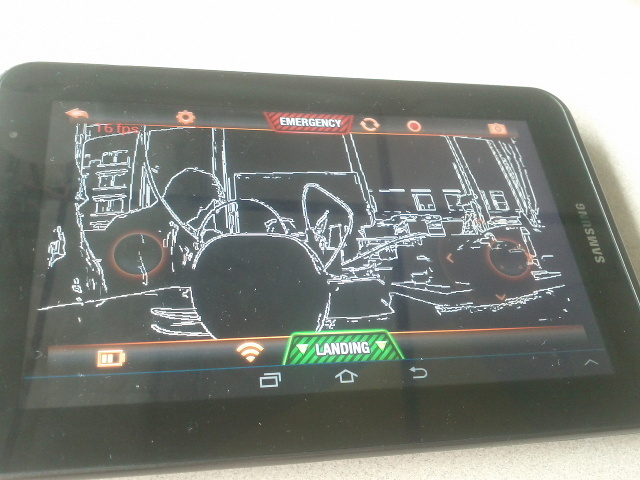 On a large enough scale, we might have to develop image processing capabilities. So how are we progressing? Check out part 2! Tuesday, March 25 – 5:30-7:00 East Atlanta Library 400 Flat Shoals Ave. SE 30316 CJ volunteers and those in search of fruit: Learn about the fruits of Atlanta, how to identify fruit trees, their blooms, and how to help Concrete Jungle donate more fresh local produce to those in need. Hey folks…we’re going to be at Atlanta Local Food Initiative‘s Incredible Edit Fruit Tree sale this coming Saturday, January 23rd. Woohoo! 23 new fruit trees from the ALFI fruit tree sale, purchased with your donations! Thank you all so much!